More and more questions have been coming to my mind. What do I really want to do for the rest of my life. Why don’t I cycle anymore? When was the last time I did it? Why have I never tried a purple dress before? Why do I keep delaying this? Is this the only thing I delay? Oh, the answer is scarier then bungee jumping 😆 Waiting for the right time? When is it? If I read a post like this years ago, I would say ‘midlife crisis‘🙂 Is it? Or noticing what the time takes away from us and brings to us instead? Today, I feel the same way. Things I don’t want to do, I simply don’t force myself to keep doing ‘em. I don’t have to stay in touch with some people that give negative energy. I spend more time with my loved ones instead. As a nature lover, stepping on sand, listening to birds sing, sound of waves hitting rocks on sand, touching the basil leaves while doing yoga and smelling it, like heaven! Inhale and exhale saying a mantra ‘I love nature’, ‘I love myself’ and think how lucky I am that I welcomed my 50’s healthy. The world is changing. Eating habits, thoughts, beliefs..So many different diet types occurred so far. Even the well-known food pyramid changed. The new design, called ’MyPlate’. Some of us have quit eating meat. Some of us turned vegan and don’t even eat any animal products. Some people gave up eating wheat, even though they don’t have gluten allergy. Is wheat really that bad? The food industry is putting us on a way and name it a healthier way to live ?? A few days ago, one of my friends suggested a book which I have heard of but haven’t got a chance to read before. It was a good reminder. Many thanks to him 🙏 I have a few friends that are fighting cancer lately. I wish I could do more for them than searching and sharing this review. Have you read ‘World Without Cancer by G. Edward Griffin? It is an interesting book to read. In his book World Without Cancer, he argues that cancer is a nutritional deficiency that can be cured by consuming amygdalin (Vitamin B17). From my research, between the years 1500-1800 many sailors have died. They were caught in a so-called ’scurvy’. A lot of people died and some of them got a lot of income from it! Then they found that, ‘Scurvy is only vitamin C deficiency, not a disease! Maybe cancer is just like that! The colonizing world and the enemies of humanity established the cancer industry and made it into a business? No one dies of an illness called scurvy nowadays. Because it gets cured. One of many alternative cancer therapies that shows great signs of prevention and possible treatment. Just include foods with B17 in. In its purified form developed for cancer therapy, it is known as Laetrile. What are these foods? Wheat bud is one of the anti-cancer medicines. It is a rich source of liquid oxygen and the strongest anti-cancer matter named laetrile. Apple seeds! There is an old saying you probably know; “an apple a day keeps the doctor away”. The tiny black seeds found in an apple’s core and not sweet. They contain amygdalin. It is a form of cyanide. As we know, Cyanide is an extremely poisonous substance. The good part is it would take around 200 apple seeds to cause poisoning and the danger is in chewing the seeds as it can cause a reaction between the substances and the stomach lining. Amygdalin is a part of seeds of fruits in the rose family, which includes apples, almonds, apricots, peaches, cherries, prune (dried plum)lima beans, clover, sorghum and many other things. The author contends that the answer is to be found, not in science, but in politics and is based upon the hidden economic and power agenda of those who dominate the medical establishment. The book “World Without Cancer” has up till now been prevented from being translated into many world languages. Why? This book is totally worth reading if you haven’t yet! It is 95 F outside. I did my yoga practice this morning and I’m starving for green lentil and bulgur stuffed bell pepper (Next post) 🙂 I haven’t done it for a while. Today is the day 😁 The recipe is on the way! I am still in my 20s, dunno what will happen i my 30s, I mean I planned for it. But I cannot say for 50s. But it is always good to know, that even at this age, you are maintaining a good lifestyle.Keep it Up , Mam. Got a long time to plan for 50s. just in twenties now. But thanks for the heads-up. How interesting! My family was just rocked with a cancer diagnosis so this is something that has been weighing heavily on my mind. Thanks so much for the share. World Without Cancer is an interesting book. I want to imagine our world without cancer. It would be a beautiful place! I am fifty and I am living my best life now. Yes body aches and otehr stuff but feeling good and with positive attitude. I love yoga too great way to find relaxation and centering our bodies and mind. I need to read this book. I like their think about cancer and I do believe that food can cure things. I agree with you. We all know that fruit and vegetables contain natural chemicals, antioxidants, that mop up free radicals: chemicals that can damage genes. What a very interesting read. I just turned 31 and have felt a shift from 20 to 30. My family has had a history of cancer, so I'm always acute to what can happen. I hope that no one else will get it, but it's good to know that perhaps something as easy as a vitamin could help. I hope for that to become a reality one day soon. 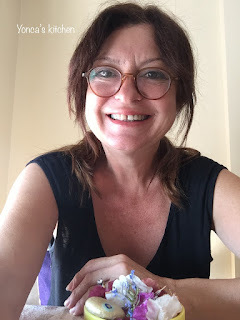 I am very happy and I am in my 50s too. I feel stronger and more beautiful than ever. I am grateful to have come to the realization that I am awesome no matter how old I am. I’m so glad that you feel good in your 50s. Cheers to 50! I have to admit I've not thought very far ahead. I've found my 30s easier than my 20s though so I hope that will continue over the years. data to us, ksep it up. Now that's the way to head towards your 50s. Though I am just in my 20s now, but you definitely set a benchmark for all of us. You are totally rocking it, I haven't reached 50's yet. Glad you have a very healthy lifestyle. You rock in your 50s! It's good to think far ahead in time and it's something I should start doing. This post has inspired me to do so. You are like my mom. She finally realized that it is essential for people to stay healthy and be active. Thus, started her journey for a healthier life early in her 40's and the result is amazing. She is even stronger than I am. Your mom is a smart lady. Exercise at any age is beneficial to good health and longevity and after 40, helps to reduce the risk of bone loss and osteoporosis. This is an interesting reading. I am happy you keep yourself fit and positive. I am in my thirties and I have also started to learn yoga just because of flexibility but I am enjoying it day by day. Thank for your positive thoughts. Yoga is certainly a form of exercise that stretches you out and can improve flexibility. It is a good choice! I have come across a blog talking about cancer and exercise. It stated that based on research, regular exercise decreases the chance of the body to develop cancer by 30%. Maybe, paired with a balanced diet it will keep the cancer cells at bay. I agree..Healthy eating+regular exercises+positive thinking! I've got to work on a healthy exercise regimen. After hitting my 50's I feel like I've started falling apart aat the seams :). You're right...every year should be accounted for, positively. Ans we should always strive to make each year better. I love how you work on each year according to how it flows. Thank you Dalane💕 Positive thinking allow us to shift our energy to what we can create. This is such a positive post about life and accepting yourself. I am about 5 years away from my 50s but it definitely makes me think about how I want to take care of myself as things break down and get harder. Thanks for all the positive energy here. I have heard that 50 is when life begins! I love how positive you are about just accepting yourself for who you are. I need to start being more positive about myself and what I offer myself and others. Thank you for your kind words and your positive comment. 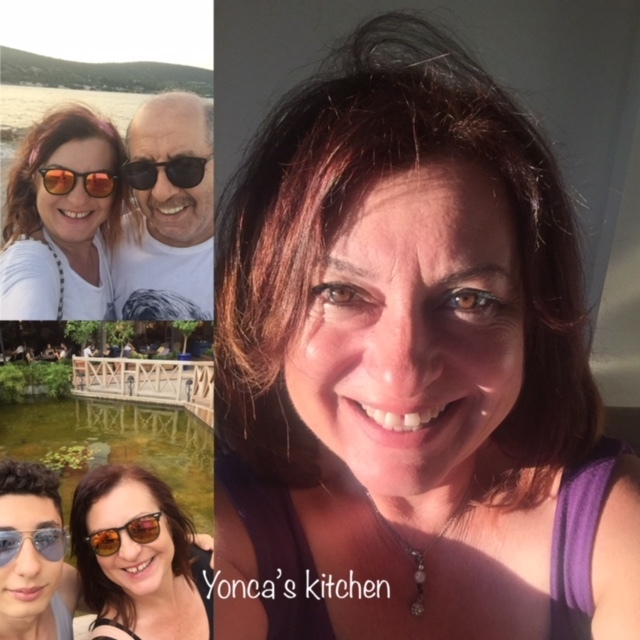 Hello, Yonca you are looking great. It is important to be positive and enjoy life. I take nothing for granted. Great post and information. Have a happy day and weekend ahead. Thank you Eileen 💕 I’m glad you liked the post. That’s right! One small positive thought in the morning can change the whole day. You have a happy day and weekend as well. Appreciation to my father who shared with me aboiut ths blog, this website is truly awesome.